Hailed as the originators of British folk-rock, Fairport Convention are a truly legendary band who remain one of the most entertaining acts on the live music scene. They should need absolutely no introduction to anyone interested in folk roots music, which is as well, because even a brief summary of their remarkable, eventful, and hugely influential 50 year history would run to many pages! Suffice to say that the band has won a coveted BBC Lifetime Achievement Award, and Radio 2 listeners voted Fairport’s groundbreaking album Liege & Lief ‘The Most Influential Folk Album of All Time’. Still going strong after nearly five decades, and with a long established lineup, Fairport are constantly reinventing themselves for each succeeding generation. Their 2015 Spring Tour concerts will feature a scintillating mix of old and new: material from recent albums along with classics from the band’s peerless back catalogue, as well as brand new songs. 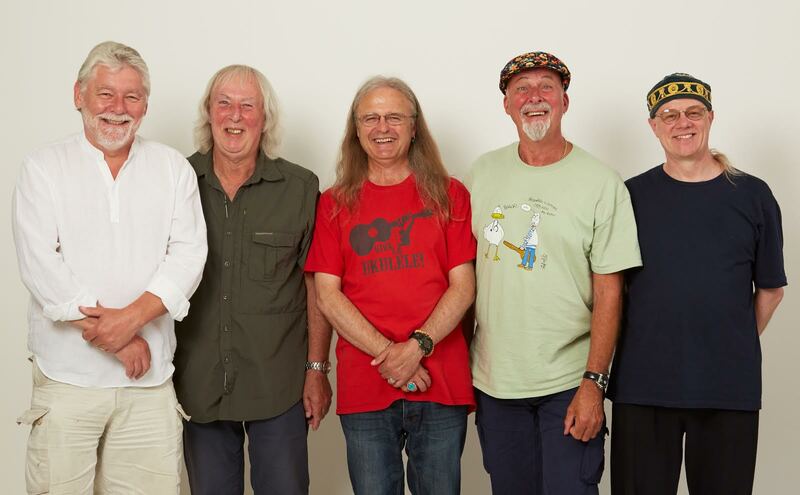 Whether you are a long-time fan or a newcomer to their music, an evening with Fairport Convention will surprise and delight you, and with a show lasting nearly three hours they are definitely not to be missed! Further information about the band, including a full history, can be found at www.fairportconvention.com.